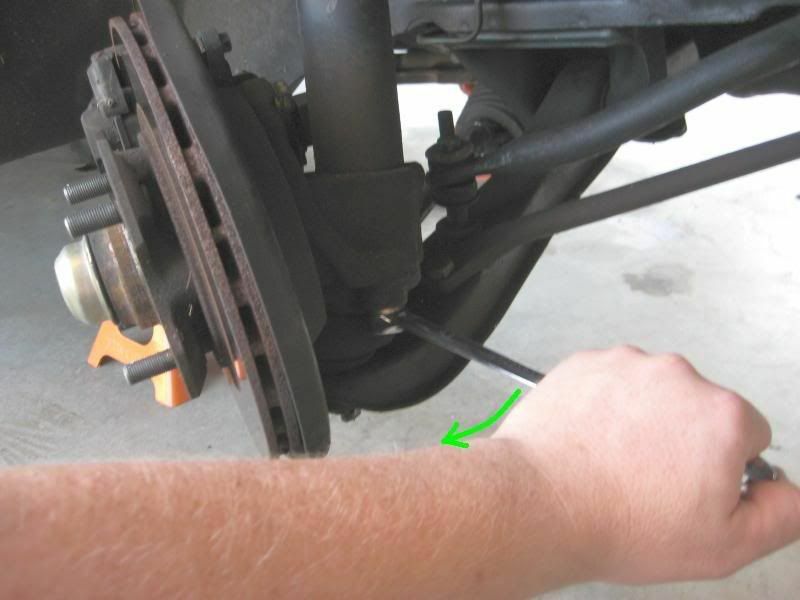 Replacing the bushings on your control arm will tighten up the front end and give you more positive traction, among other handling improvements. It's just one place on the control arm, but it's a world of a difference. 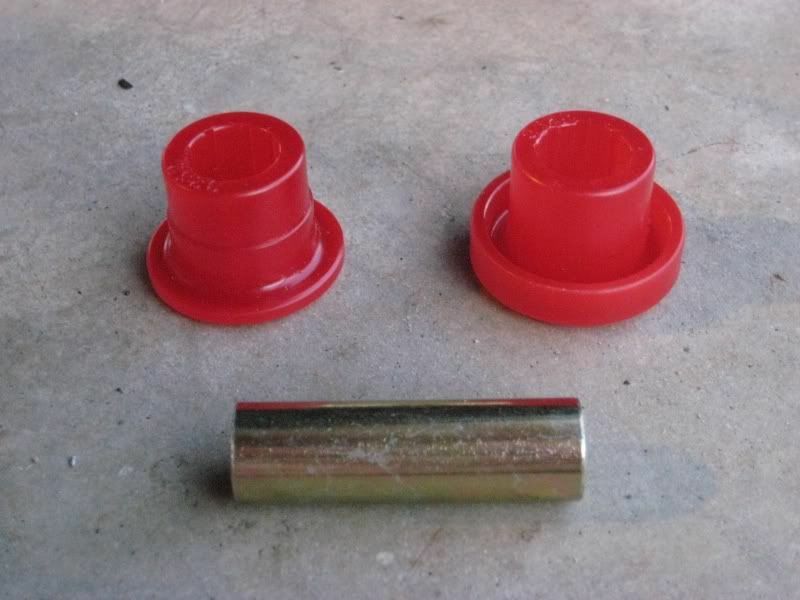 Polyurethane bushings designed for S13 front control arms are a direct fit for S12 control arms. 1. 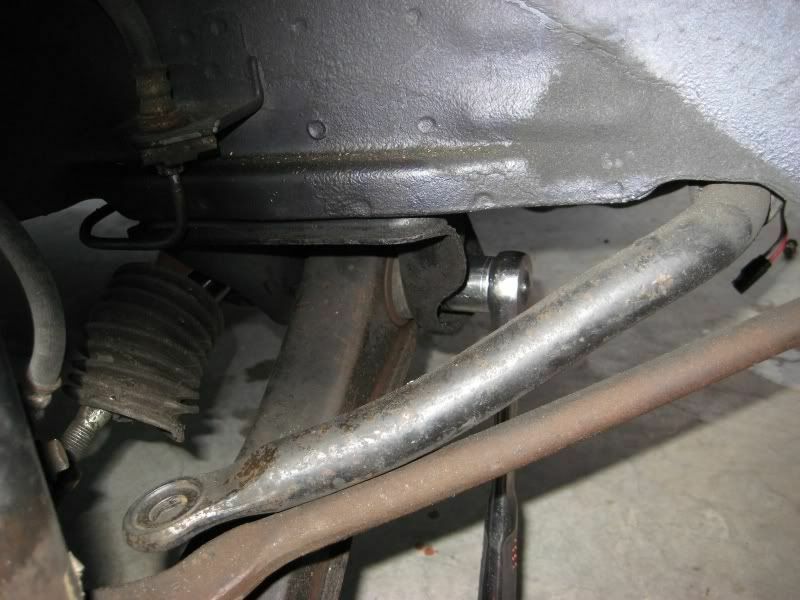 There are TWO bolts that hold the knuckle to the spindle. 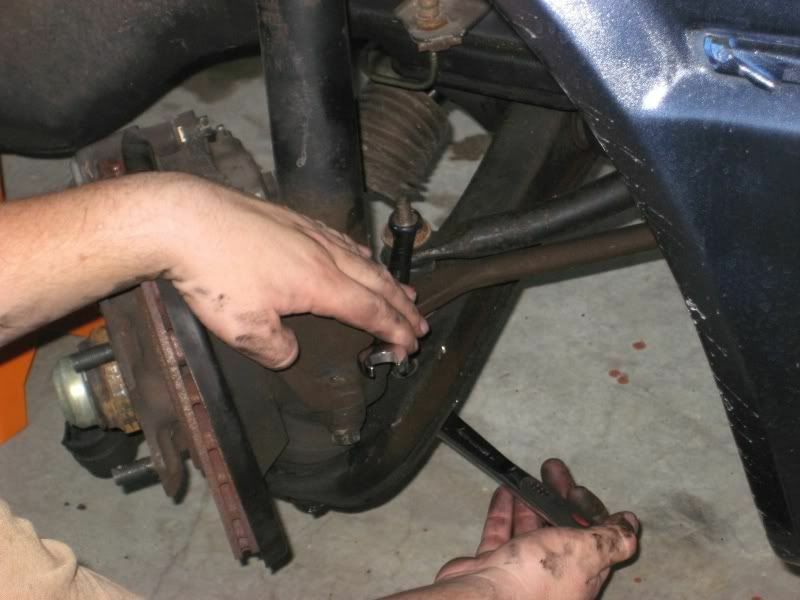 Turn the assembly to find the front bolt. 2. 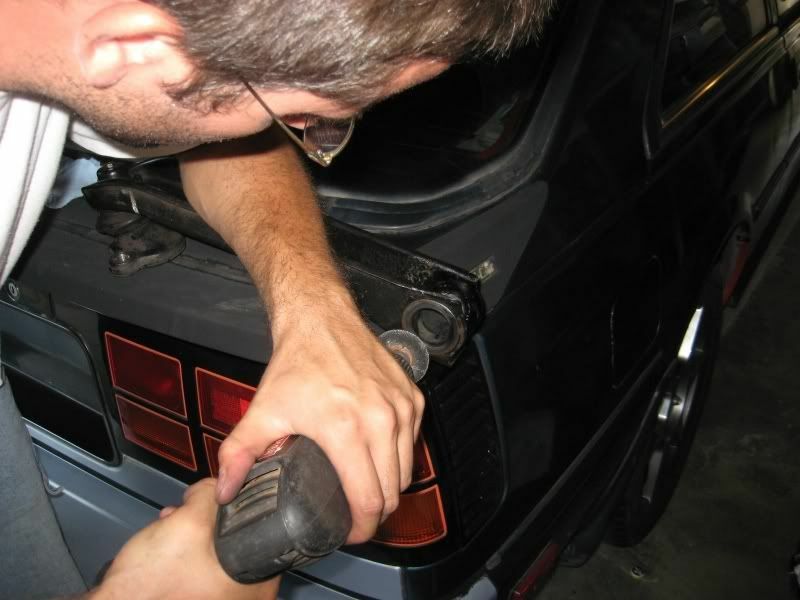 Use your 17mm wrench to get the front bolt off. 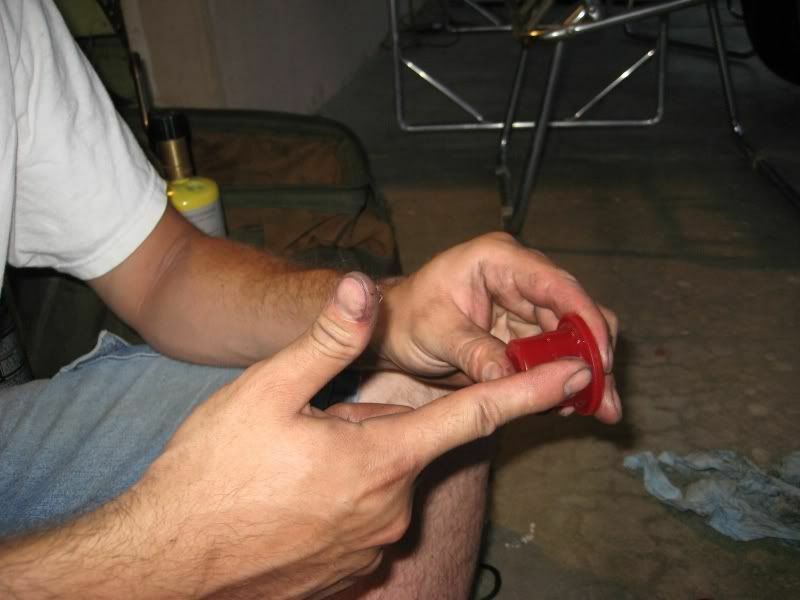 A socket won't clear the knuckle. 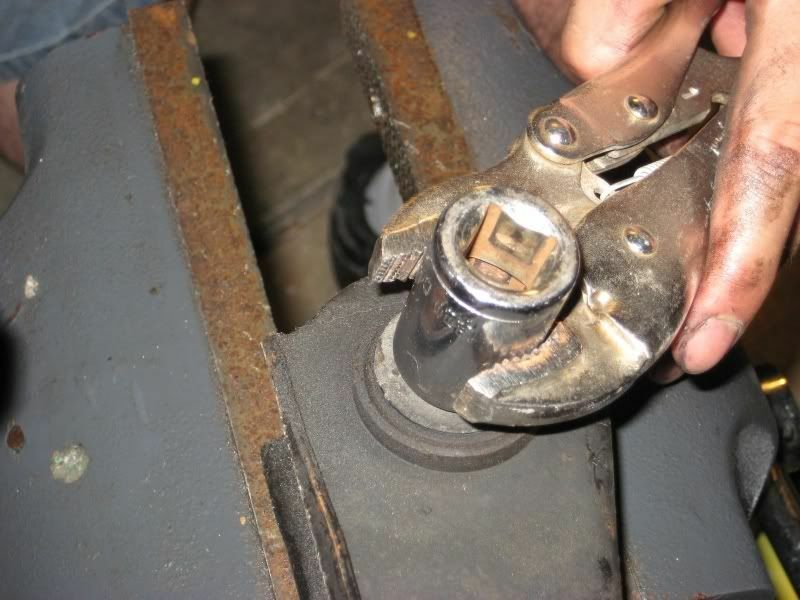 make sure to keep the lock washer with the bolt after you remove it. 5. 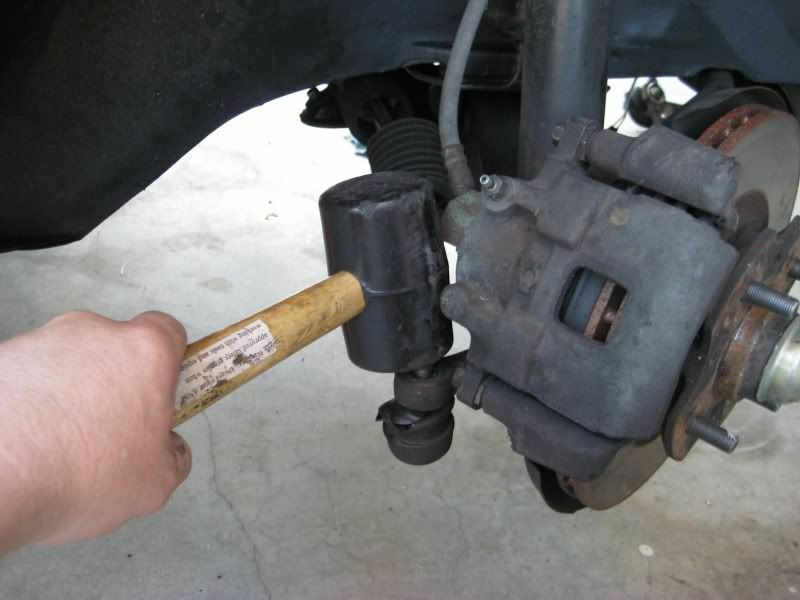 Use the rubber mallet to *gently* tap out the threaded part of the steering arm. 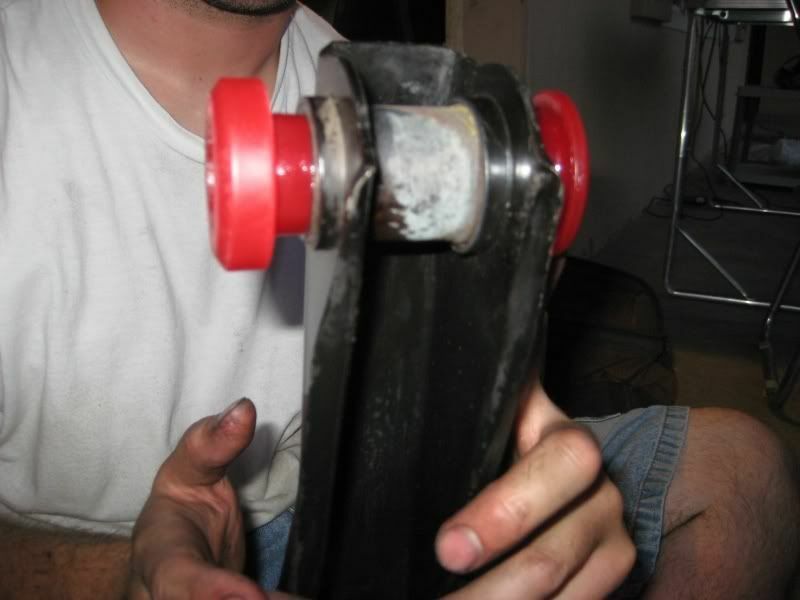 Note: This is an EXCELLENT time to replace the tension rod bushings with a fresh, new rubber bushing set, or even a good urethane upgrade. A 17mm bolt holds the assembly together at the tension rod bracket. 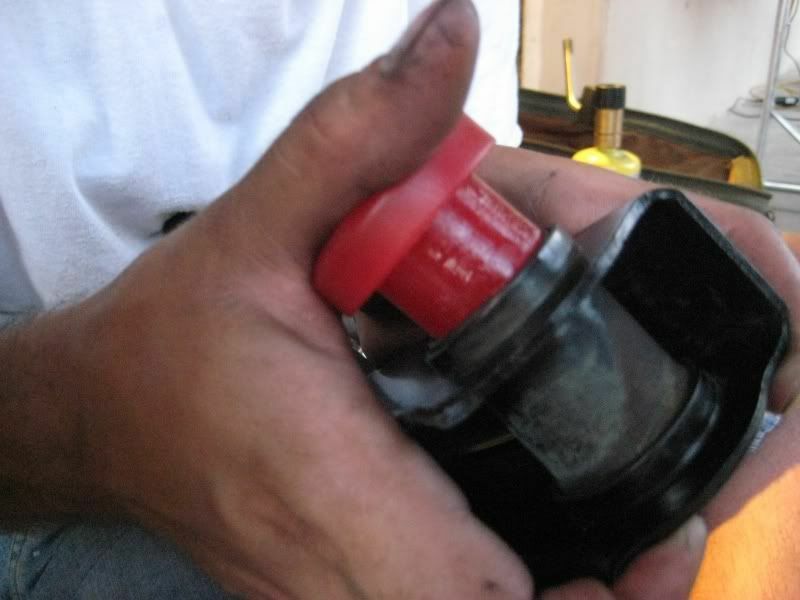 *BE SURE* to keep the bushing sections together in the right order, so you can use them to figure out which parts go in what order when you put the new ones on. 7. 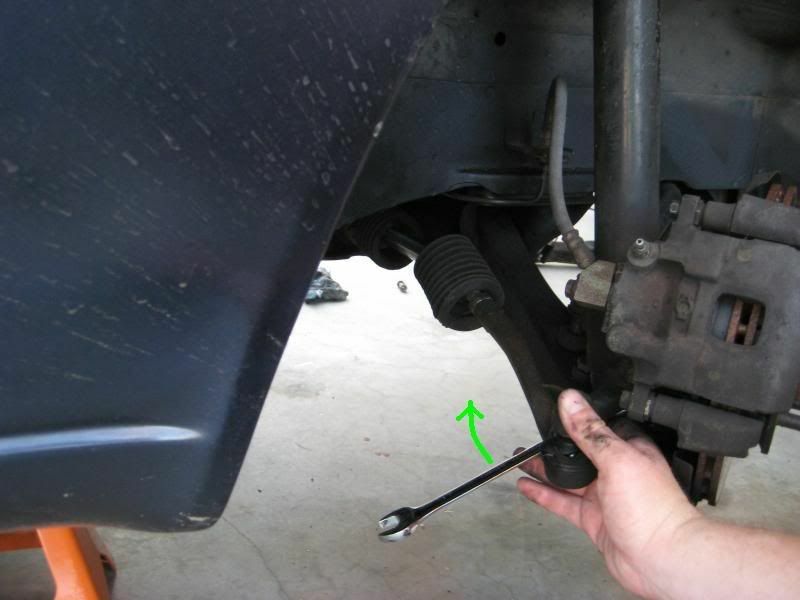 Remove the sway bar endlink with a 14mm wrench on top, and a 14mm DEEP socket on the bottom. 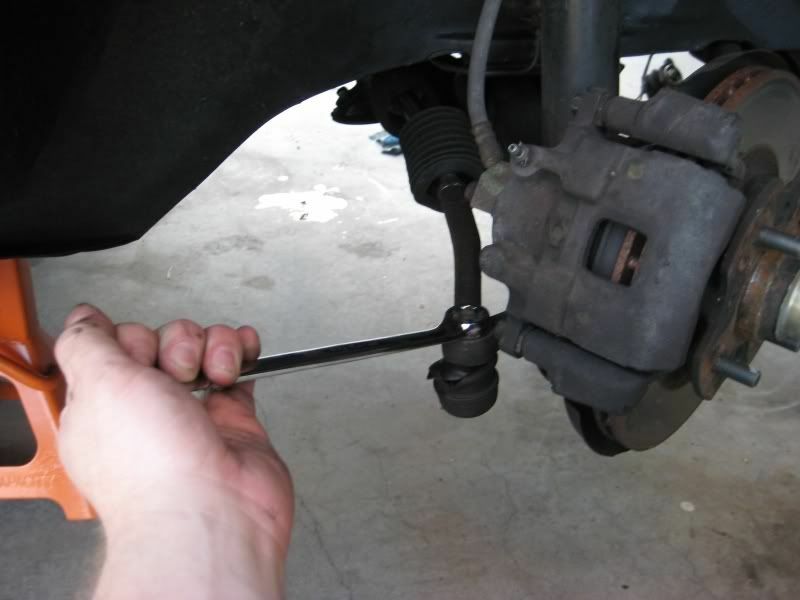 Remember to keep the sway bar bushings in the exact order -- remove the bolt, then slide the sections back onto the bolt, off of the car, in the order they are supposed to go. This helps you when reinstalling it later. Use the nut to keep it all together. 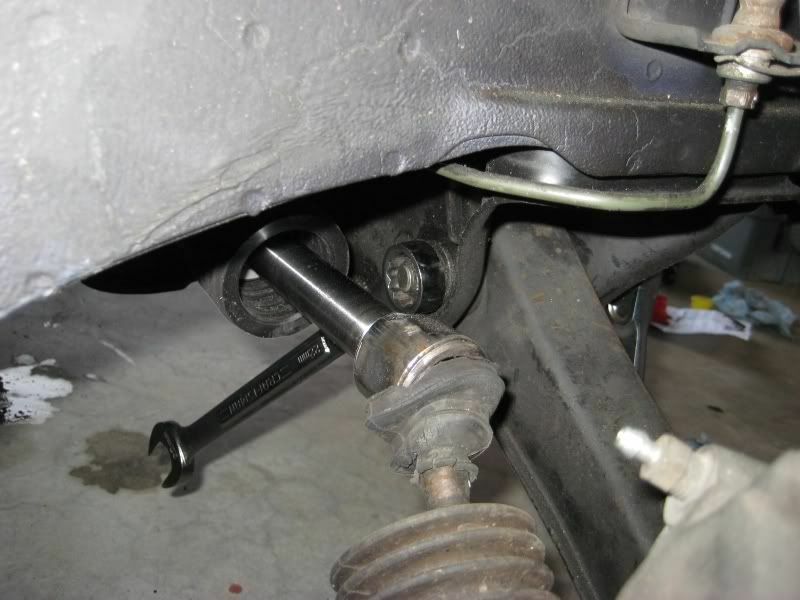 Note: As with the tension rod bushing, this is a great opportunity to replace or upgrade the sway bar endlink bushings. You'll need to be sitting down with both feet on either side of the crossmember. 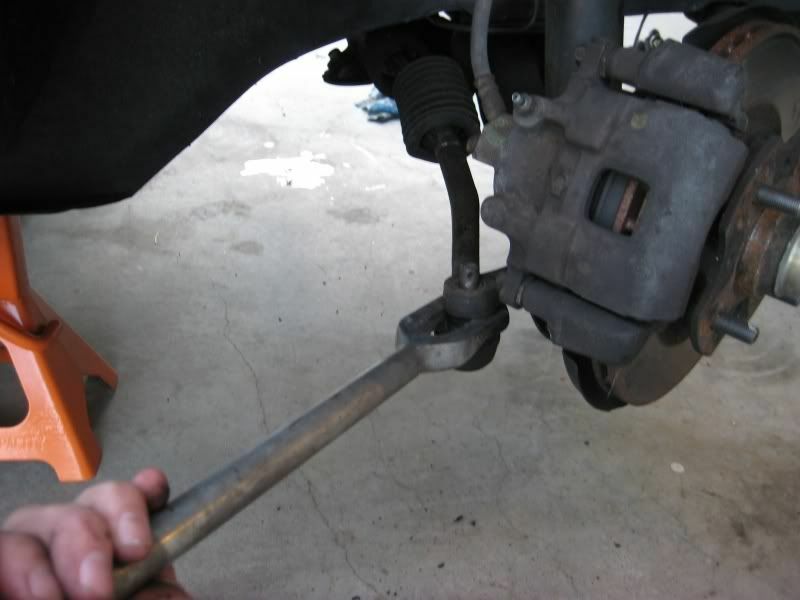 If you're on the driver side, you're going to want to press your right foot against the wrench at the backside, while pulling towards you on the socket/ratchet on the front side. On the passenger side, you'll want to push the socket/ratchet on the front with your foot, while holding firm the wrench on the back side. Once you break it loose and run out the threads a bit, you can slide the bolt out. Put the washers and nut back on the bolt so you don't lose them. Old bushings are in there good. You can't just push them out easily. 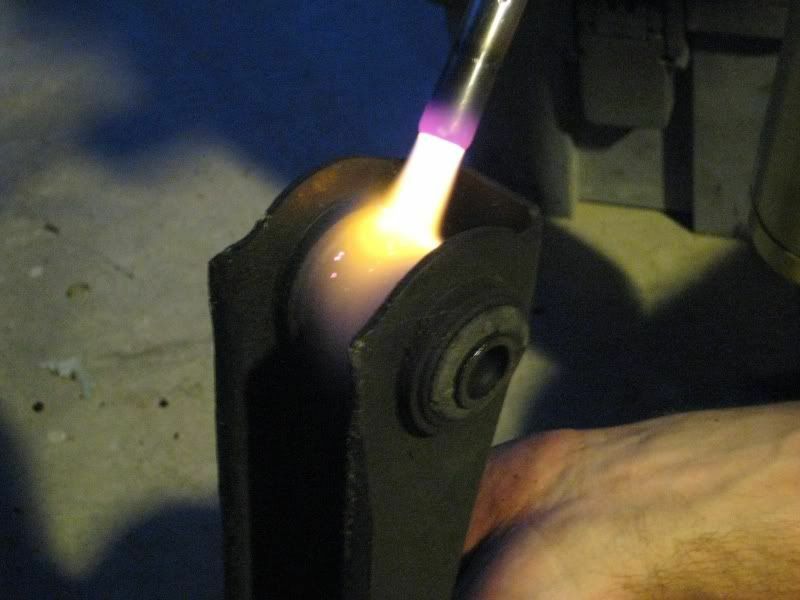 Torch the outside sheath around the old bushing to expand the metal around it, and to loosen up the rubber. Get it really hot! We waited until we could smell and hear the rubber cooking. 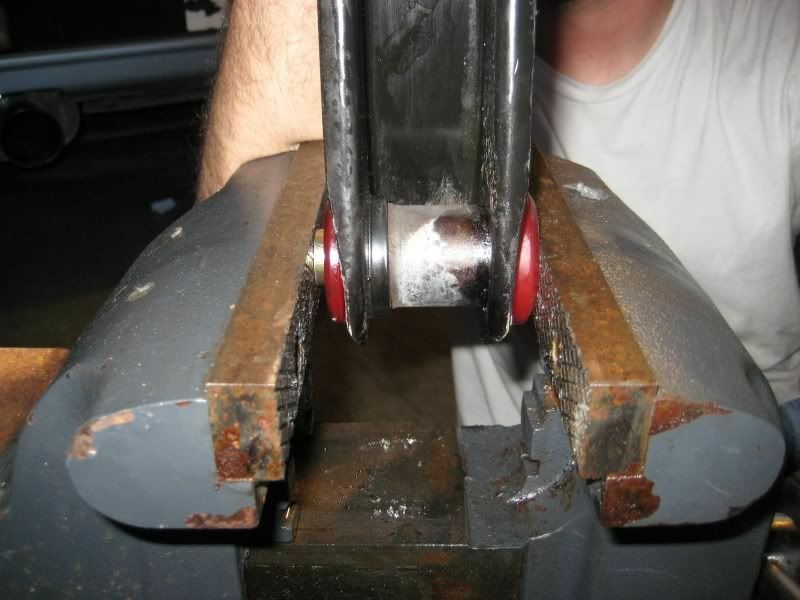 Have a friend quickly set it up on the vise so that the wider end of the busing is facing down between the vise ends. 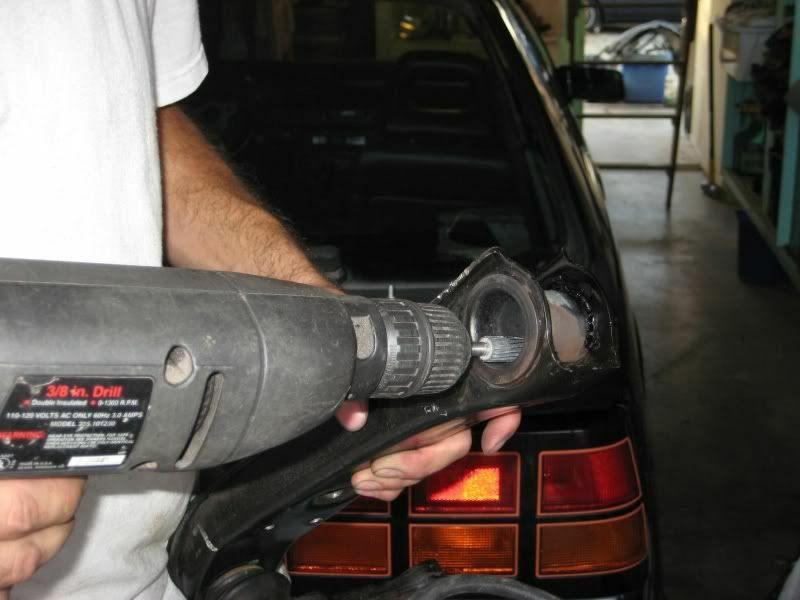 Then take a socket and the vice grip pliers, and hold the socket on top of the other end. Hammer with the metal mallet until it pops out. Hammer hard! If it doesn't come free, you aren't heating it up enough. 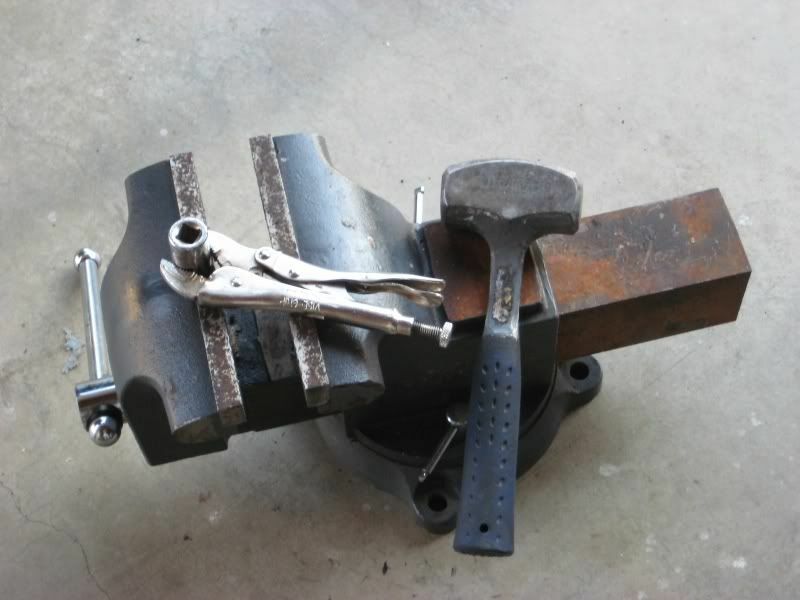 Keep torching and hammering until the old bushing pops free. Prothane also makes these. They all come the same way -- two halves, and a metal sleeve. The instructions show you which bushing on which side, but it should be apparent. 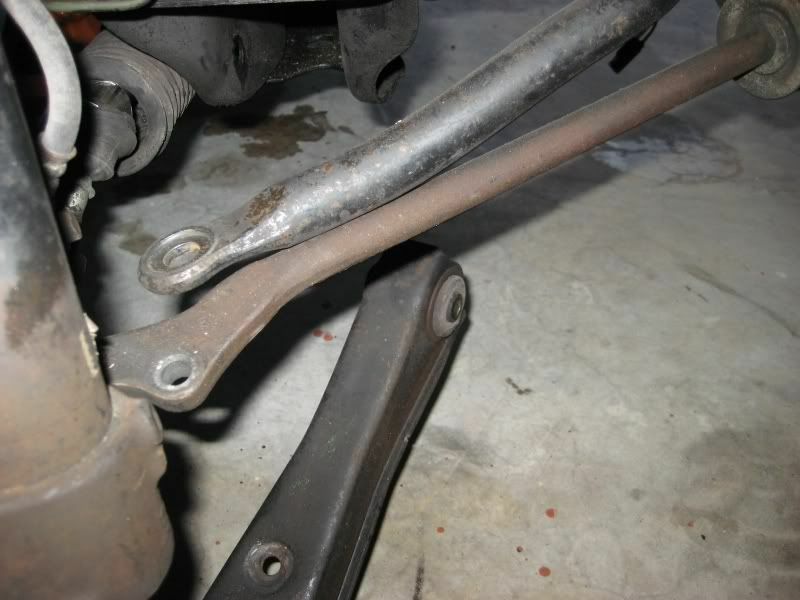 One side of the control arm has a lip that fits into one of the bushings. 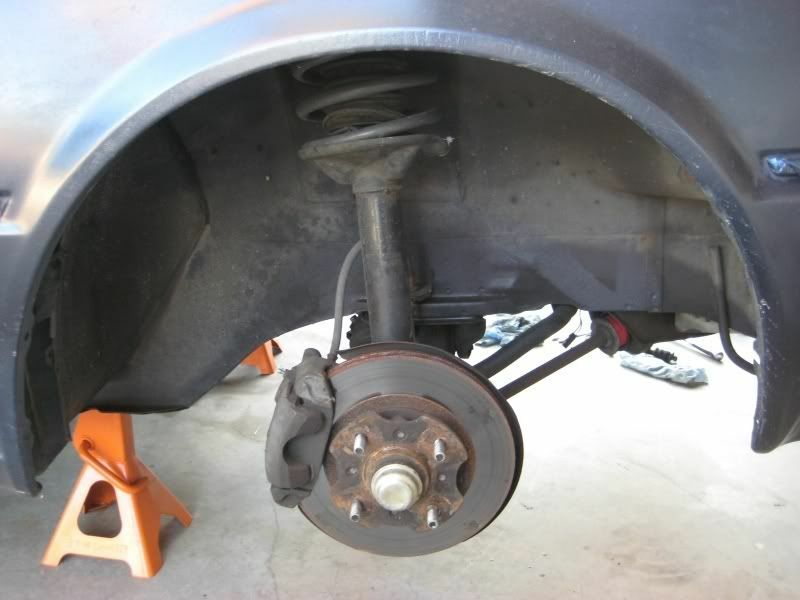 Now your control arm is complete, and you need to reinstall everything. Just follow the directions above in reverse, and you should be fine. 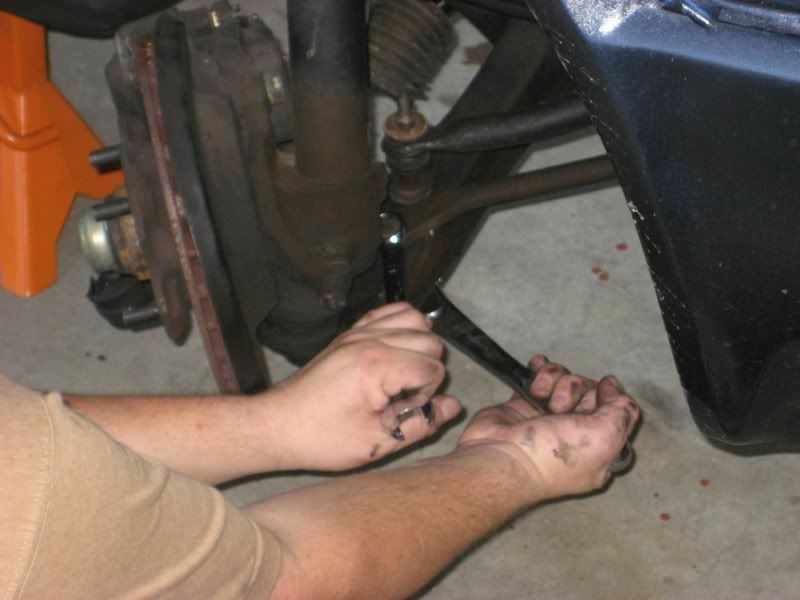 Front control arm bushings for S12 are the same as S13. You can order the Energy Suspension at Autozone for $25, and they take two or three days to arrive. I used a 1990 240SX as the look-up car in their computer. awesome write up man, I now feel confident enough to do this myself. It is definitely much-needed on my SE. Untouched? The front of that car has been touched more than litle boys at neverland ranch. ive been scowling the forums and it seems this doesnt have any pictures up. is there by any chance you could re up them Arro? Yeah I just saw that... We'll get the post fixed, I got to grab it from the old forum and repost it here. I too want to peep the step by step on this. 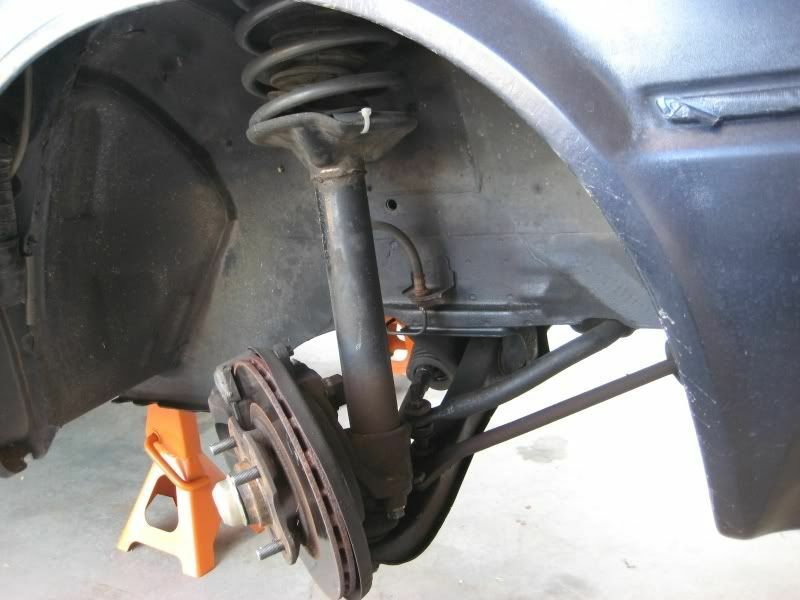 It shouldnt be too hard to figure out after completely taking apart 3 front suspensions now. Not too fun but not hard at all. Fixed for everyone, sorry bout that. There were bound to be issues like this eventually. Sorry bout the troubles! thanks for this write up. 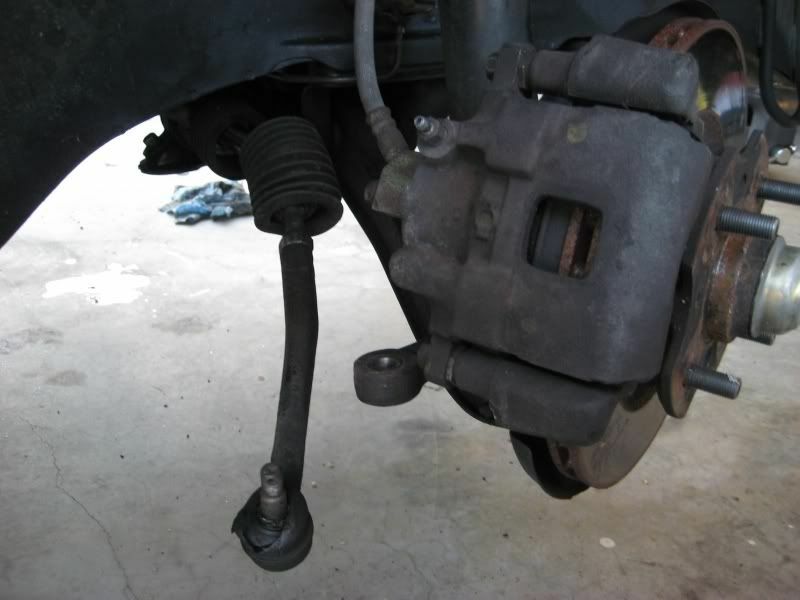 im gonna have to use it to replace my lower control arm, hit a crub drifting today POSITIVE CAMBER FTW! !